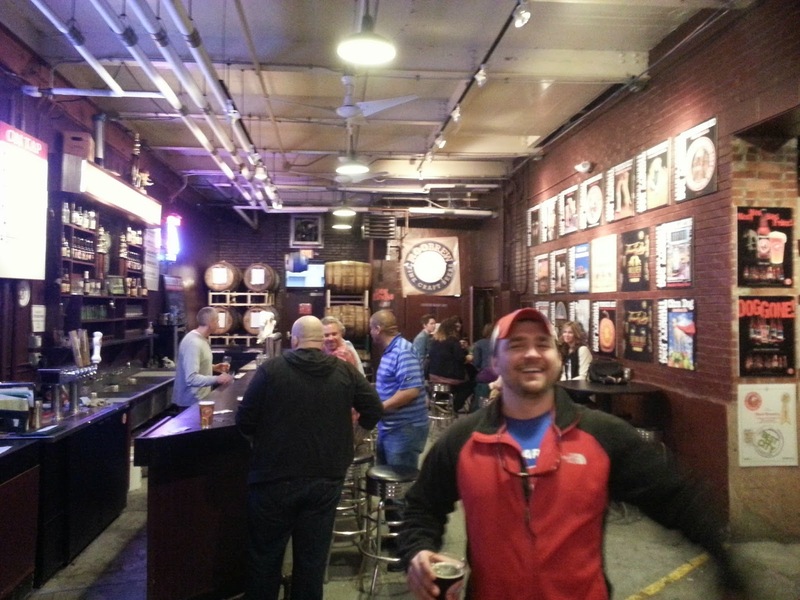 Thirsty Dog Brewing Co. sits in an industrial area of downtown Akron, not too far from night life, restaurants and bars, but just far enough away to maintain the feeling of residing in an old warehouse. 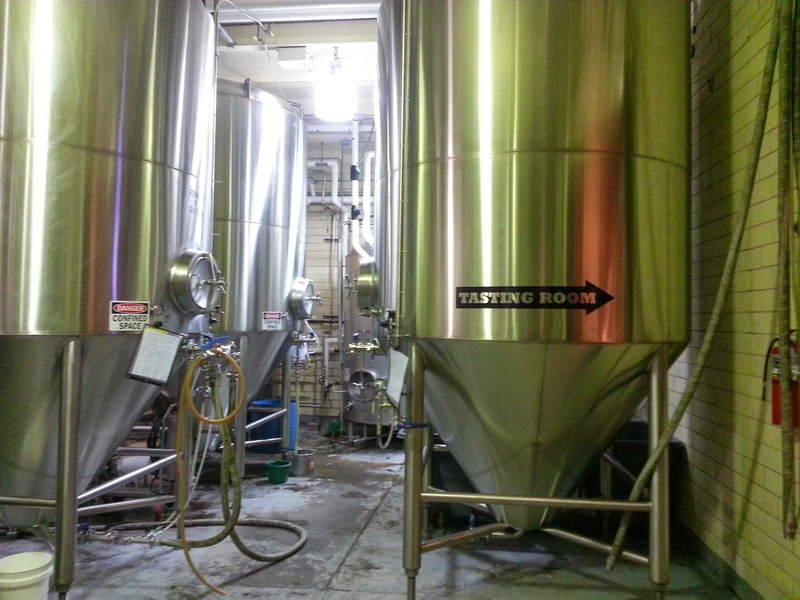 You walk in to the tasting room through the brewery entrance which is the coolest part of the place. 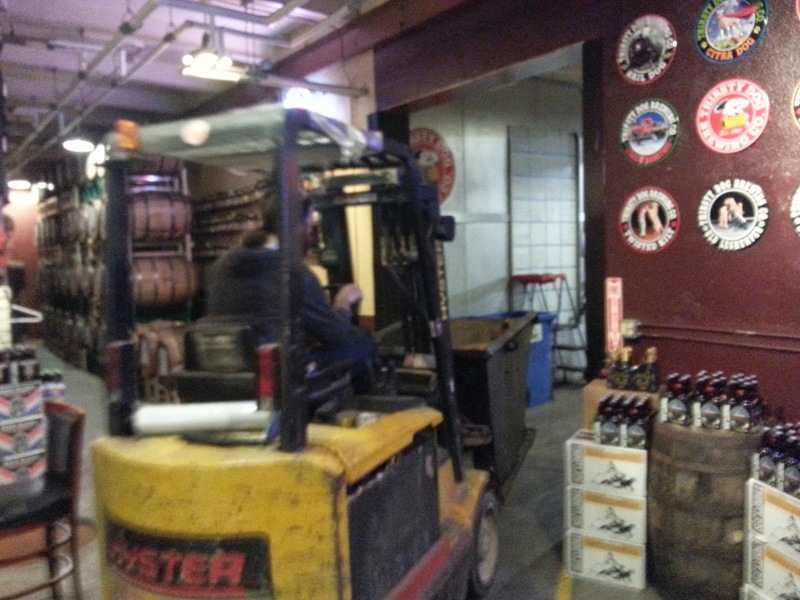 The bar sits in between two main rooms of kettles, filled with brewery workers who are moving back and forth with fork lifts from room to room, honking each time they cruise through. The bar itself is pretty utilitarian, without food or flare, but with just an area to serve great beer and sit and enjoy it. With shelves decorating the walls, holding old beer bottles and cans from years back and all around the world, you remember the reason why a place like this is here. It gives you the understanding, this place is here to make great beer. That's it. Akron has revived itself with places like this and not being intimidated by other large breweries in other parts of the country. It adds to Ohio making its mark in the craft beer world. Packed with Citra hops, this IPA has a nice refreshing kick. It has an average on Untappd of 3.7, but I gave it a 4.5. So good, I had two. 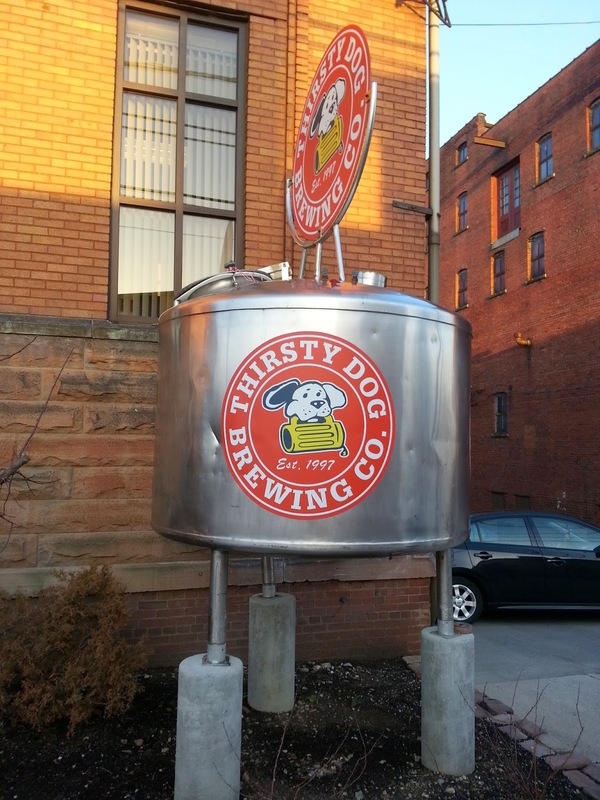 If you're in the Akron area, make sure to check out the Thirsty Dog Brewing Co. tasting room during their limited hours. 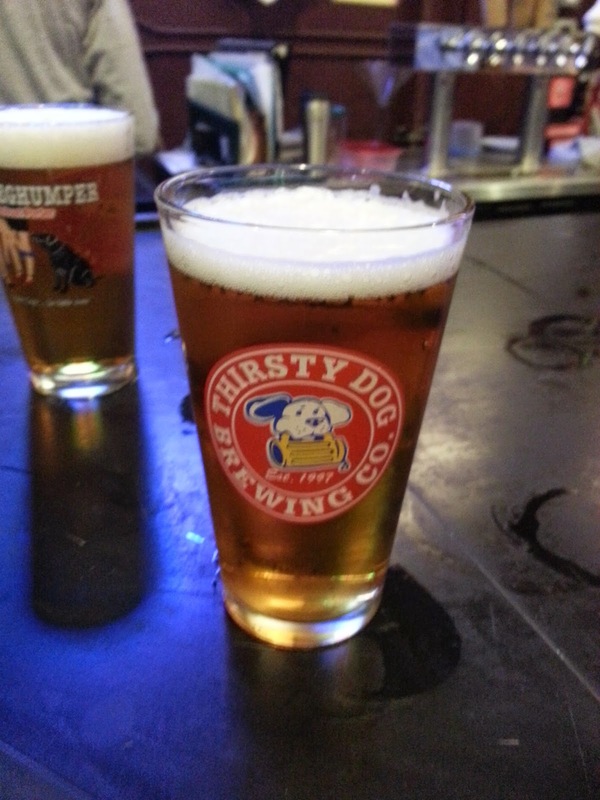 I'm not barking orders at you, but I am suggesting you bone up on your beer experience. Labels: Akron, beer, brew review, brewery, Thirsty Dog Brewing Co.